Google Tez, the UPI (Unified Payments Interface) based app from Google which enables peer-to-peer payments, allowing you to send and receive money from other users of the app has updated the app by adding the option to pay utility bills from within the app. With the latest update, Google Tez enables users to pay electricity bills, with billers such as BEST Mumbai, Ajmer Vidyut Vitran, Bharatpur Electricity, Bhagalpur Electricity, BSES Rajdhani and Yamuna, MSEDC, Torrent Power and Noida Power among others. Other options include payment of DTH bills for Dish TV, Sun Direct TV and Tata Sky, and broadband bills for ACT Broadband, Airtel, BSNL. 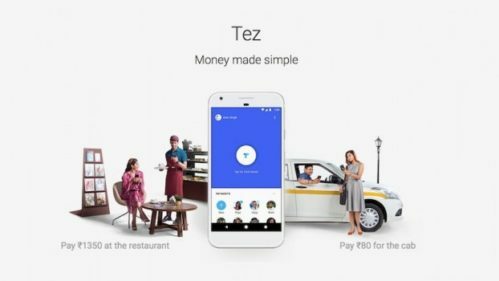 Google Tez will also allow users to pay insurance premiums for Bharti Axa Life Insurance, Edelweiss Tokio Life Insurance, ICICI Prudential Life Insurance, and Tata AIA Life Insurance among others. Some of the other billers currently on the platform include Bajaj Auto Finance, PMC Property Tax, and Delhi Jal Board. However, the app does not support prepaid mobile recharges. Additionally, the app also provides the option to view your existing bills. Tap a biller from the bottom of the Google Tez screen to see a list with details of all paid and pending bills. Similarly, you can check the status of a previous payment by tapping a biller from the bottom of the screen.